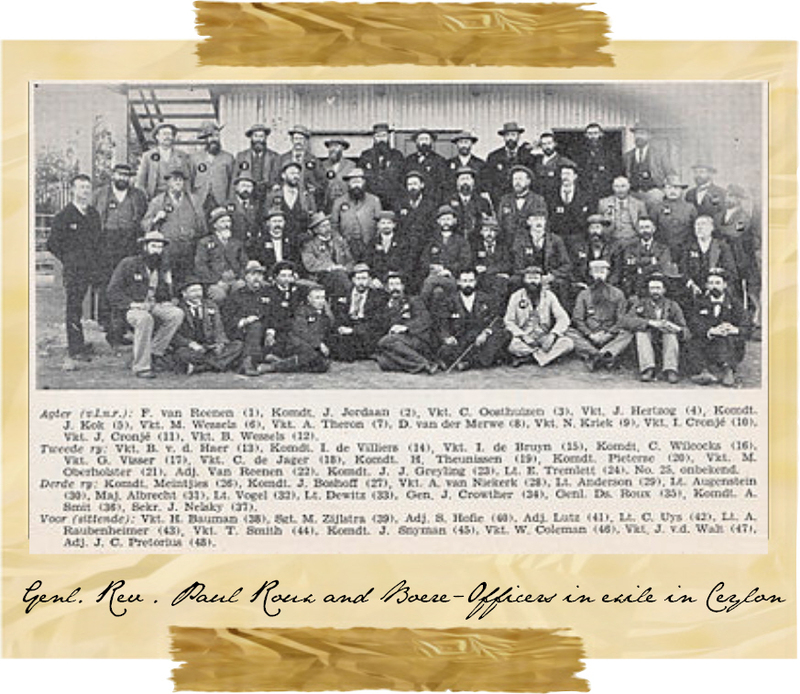 Paul Roux was situated on the old stagecoach route between Harrismith and Winburg and served as halfway post for changing the horses of the stagecoach. 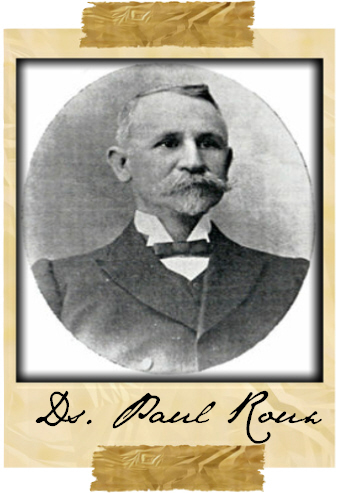 In 1911, the newly formed community named the village after their minister – Paul Roux. Paul Roux was the minister of the Dutch Reformed Church. 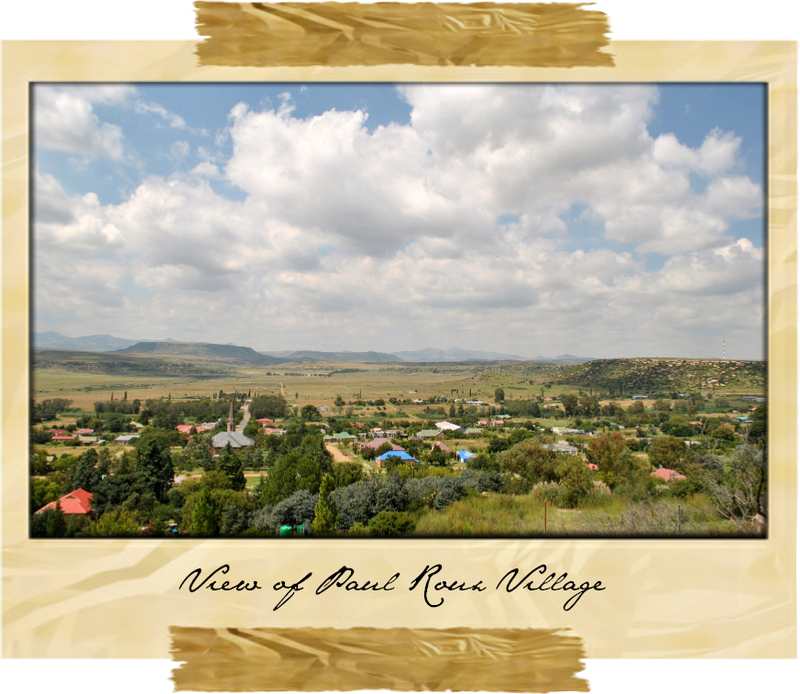 The village of Paul Roux was established on the route of the postal coach between Winburg and Harrismith. Approximately every 10km, there was a stop where the postcoach horses were swapped for fresh ones and where the post would also then be distributed; these coaches frequently also carried passengers. Where the current bowling club now stands, there used to be an Inn which belonged to Mr. John Hiscock. It was here where the horses would be changed. A bugle would be blown as the coach came over the hill so that the fresh horses could be harnessed up ready for the exchange; this would thus ensure that no time would be wasted in changing the horses in order for the coach to speed off to the next post station. John Hiscock’s grave is situated just south of the bowling green. Transport riders would often overnight in his Inn. On the corner of Van Rooyen and Mark streets stands a large oak tree; it was under this tree the post would be left by the postal coach. There is, to this day, still a servitude which applies to this tree, and it may not be cut or damaged in any way. Ten kilometres on the road to Senekal, lies the farm Zuuringkrans which is currently owned by Hentie Senekal. A postal coach horse-changing station was also situated here. It was here where Mostyn Reginald Cleaver was born 2nd December 1862. At this stage her parents were already the owners of a shop at Zuuringkrans. Here they used to receive the post from the coach and would ensure the distribution of the letters to their proper destinations. This was the nearest shop in what was a very large area; groceries, farm products and even wool could be purchased here. In the door of the kitchen there is still a postal slit, where apparently letters can still be posted. Past the house there is a stable where the floor is laid with round stones, and it is here where the horses were rested. He had decided as a young man to study further in England. He qualified as an Advocate and returned to South Africa, where he was then appointed by General Jan Smuts. With the outbreak of the Boer War, he took a decision to fight on the side of the Boers. Although his mother protested and pressured him not to fight against his own English country men, he stood firm insisting that he was born here and that the Boers were his people. During the war, he was taken prisoner by the English and they called on him to take an oath of allegiance to the Queen of England where after they promised to set him free. He refused, and was sent to Ceylon as a prisoner of war where he eventually died of fever in captivity. The Village was proclaimed on the 9th of May 1909. The land was purchased from a Mr de Jongh. The original homestead is still occupied, and the old family grave yard remains next to the house. There had been some friction as to what the name of the village should be. One half of the village wanted the name to be Paul Roux who was the minister of the Senekal congregation (Rev. 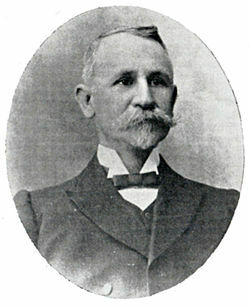 Paul Roux was also a military general), and the other half wanted the village to be called Du Plessis Ville. In order to solve the dispute, it was decided to engrave the letters “PR” on one side of a flat stone and “Dup” on the other side. A Jacobus Smit had to throw the stone into the air and the village was to be named according to the name which initials appeared facing upwards when it landed. A large crowd of people gathered on the open land next to the current APK Church, in order to see what the Village name would be. “PR” fell facing upwards. A public sale of plots took place in 1910, and these plots were sold for a shilling each (approximately 50c in today’s value). Most of the sandstone houses that were built back then by farmers were used as homesteads. Their homes were also open for use for church services especially for communion. A building in which to hold church services had not yet been built. Rev. C.P Theron and associate Rev. H.A Roux would come to Paul Roux in order to hold church services which would be held on the banks of the Sandrivier under the shade of the willow trees. Once buildings were built in the village, services were then also held on the veranda of the National Bank. This building has been preserved in Voortrekker Street, and is now a private dwelling. Later services were also held in a dance hall. Strong objections were made where after the dancing was stopped in the building. Eventually services were held at the school building. Mr Okert van Schalwyk was awarded the tender as the building manager and contractor for the building of the church. The corner stone of the church was laid on 13th of May 1914 by Rev. CP Theron. The congregation was established on Thursday 25th of June; at that time the walls of the church were 11 ft high. Unfortunately, the building work had to halt during the rebellion at which time grass grew against the walls because clay had been used to hold the bricks together. After the rebellion, the building manager worked quickly and the church building was handed over to the congregation in September 1915. The inauguration took place on 10th February 1917, although the pews were only installed in November 1917. Rev. 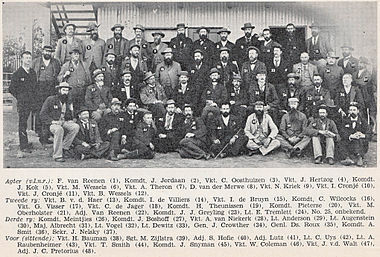 Hendrik Boshoff, was appointed 5th October 1915. He was willing to take up the appointment if the congregation was prepared to wait until he was released as a prisoner of war from the Fort in Johannesburg. It was surely a first that a Pastor would be called out of prison! He was received in Paul Roux on Friday 25th February 1916. During communion services the women would sit on one side of the church and the men on the other. The reason? There used to be only one communion wine cup and the women would be served first because several of the men would chew tobacco leaving a horrible taste on the cup which the women disliked. A branch of the women’s missionary society was established in Paul Roux in 1916. The church building as it appears today was completed by a later reverend, H. Reyneke, when the church tower was built. The cornerstone of the tower was laid on the 25th February 1947. Other Businesses in the Village. Various Jewish businesses opened their doors; there was Margolius, Khosoff and Schatz, Kristall, Sadoff and Levi. The community was able to buy all their needs from these businesses. Führmann had a shop where one could buy fresh fruit and vegetables. The hotel, which still operates today as the Rosenhof Guest lodge, was also built during 1927. Tennis was played on the first tennis courts as early as 1915, and in Voortrekker Street, the first Post Office was built with the large auction pens opposite. The Post Office was also a sandstone building which was later converted into a double story dwelling. Part of the main road to Bloemfontein was Voortrekker Street which ran through the village and at that time the road was not fenced off. Between Paul Roux and Bloemfontein in 1927 there were 123 gates which travellers had to open and close; it was surely a time-consuming business travelling to the city! On the 8th October 1912, the school with 52 pupils and principal HJJ van Rensburg was formed, and back then in January 1922, it was also a high school. At a community meeting on 10th January 1920, the building of a hostel was also approved. In the interim, a building belonging to Mr CT van Schalkwyk was rented, and on 10th April 1920, a temporary hostel with 12 school borders was opened. The Retief Boarding house was named after a teacher CW Retief, and at the end of 1930 it was handed over by the contractor, J Andrews, to the church council, In January 1931, the first 16 boarders moved into their new boarding house. He was certainly one of the most famous people who came from Paul Roux. He was born on 12th January 1916, on the farm “Telegraaf’, situated just outside Paul Roux. He attended school in the village for 11 years before finishing his schooling at Voortrekker High school in Bethlehem where he matriculated. He would ride every day to school in Paul Roux on a horse and, even as a child, he would buy a newspaper daily which he would read before riding home. From a young age, he developed an interest in politics and national affairs. He was in standard 9 (grade 11) when he wrote in the back of his science book: ‘PW Botha. Telegraaf. Paul Roux. Minister of Defence’. During his mother’s, Hendriena’s, 80th birthday celebration, the son of his half-brother, Joachem Prinsloo, presented the book to him – PW was very surprised; he acknowledged that it was his handwriting but could not remember that he had written it. He had been appointed as a young man, to be Secretary of the National Party in Cape Town and later he became a member of the National Assembly. Thereafter, he achieved his schoolboy dream when he was made Minister of Defence, thereafter Prime Minister, and eventually State President. A Tombstone Monument of General Rev. Paul Roux after whom the village was named, is to be seen to the north of the church in its grounds. Two reverends are also buried here: Rev H. Boshoff and Rev. C W Retief. In various places in the district, one can find bushman paintings, such as on the farm’ Telegraaf’, belonging to Hendrik Smit, ’Lusthof’ of Susan Jacobsz and on the Witkop Game Ranch. The Witkop Game ranch is situated at Witkop, just outside Paul Roux. There are 21 types of game, such as cheetah, buffalo and hippo. There is also a breeding colony of Southern Bald Ibis (kalkoenibisse), which for a period were very scarce. Visit their web address at www.witkopgameranch.co.za. Horse riding is also offered here and one is able to see a very impressive cave. In 1946, farmers Abraham Smit and his brother Jacobus, had the farms Smitskop and Moreson, which they farmed together and had 2000 sheep, 700 horses and many cattle. These animals were watched over during the day by their sons, and whenever it snowed or was very cold, they used to herd the 2000 sheep into the cave, and the boys would sleep in the caves with the sheep. There are graves of children at the farm ‘Marthinusdal’. During the Great Trek, the Voortrekkers, under the leadership of J.J Prinsloo were situated on the banks of the Sandrivier, which is today the farm ‘Marthinusdal’. Two children who had died of measles are buried here. With the symbolic Trek of 1938, a monument was erected at the graves. This was unveiled by Mrs N.C Pretorius who was the daughter of Mr. MV Pretorius, who had built the Gelofte Kerk in Pietermaritzburg. A walking trail of approximately 1 hour and 18min was developed by Mr. Theuns Van Rooyen. The Village has a beautiful Nature Conservancy which also spans the Koppie. The route takes one under large trees and up over rock formations. It is not a strenuous walk and anyone who wishes to go for a stroll will really enjoy this trail. Safe parking is available at the APK Church in Joubert Street. It is especially beautiful to see our village from the top of the Koppie. walk. It was to raise funds to rehabilitate the Rooidam in Paul Roux, and to promote the area as a tourist attraction. Two farmers in the vicinity, Gert Van Zyl (Holhoek) and Andries van Vuuren (Marocco) granted the Forum permission to hold the sporting events on their respective farms. Routes were planned and there was a lot of marketing done. Naturally, there was much nail biting as to whether people would support the event or not. As always, the Eastern Free state did not disappoint and entries were received, not only from Paul Roux and surrounds, but also as far away as Johannesburg. Radio Maluti also stepped up to the plate and provided a lot of marketing for the day together with a live broadcast.